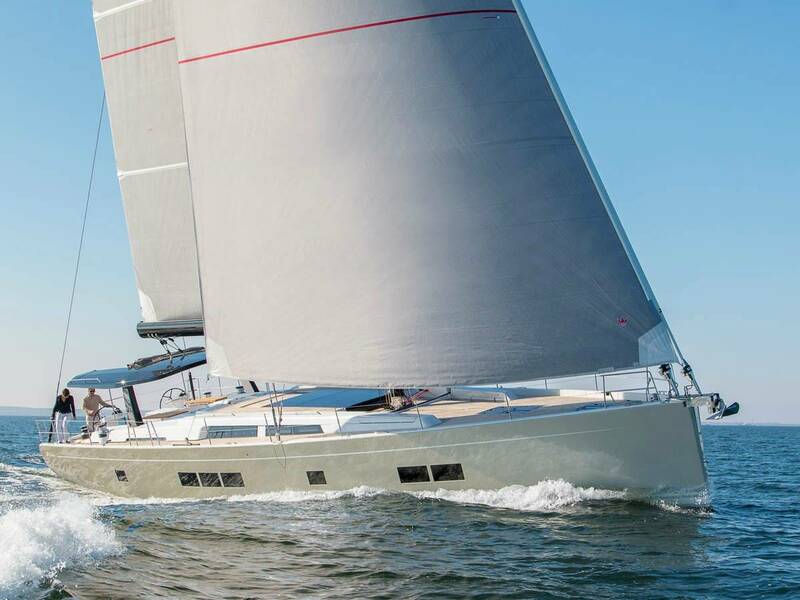 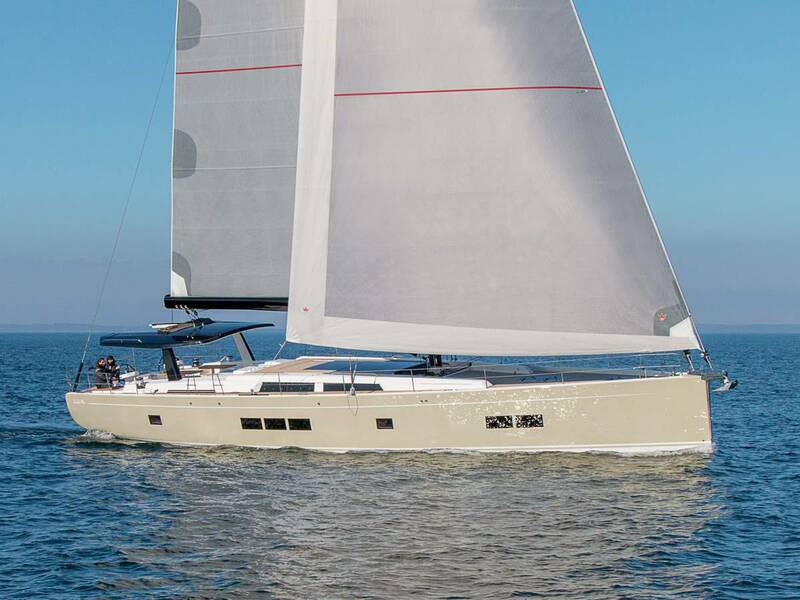 From the Hanse shipyard comes 20.5m/67.3ft sailing yacht NADAMAS, built in 2017 as an ideal choice for small families and close friends looking to spend quality time together. 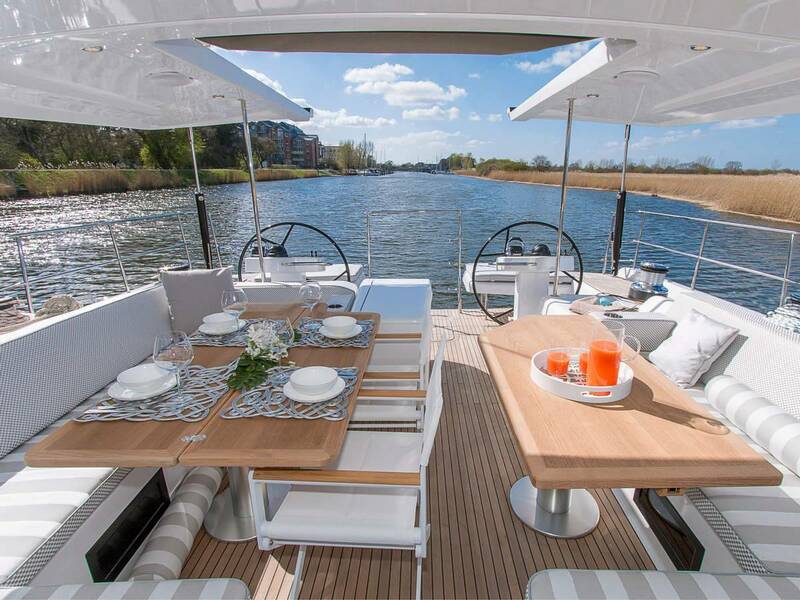 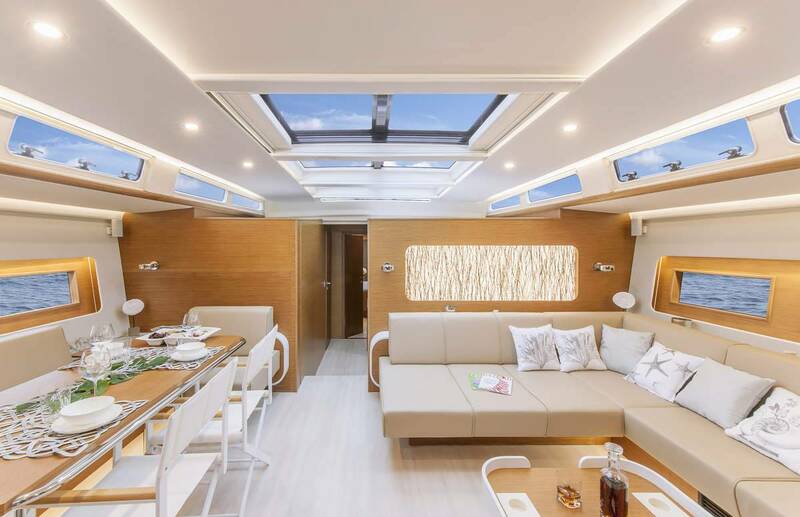 The modern interiors include a spacious lounge with wine chiller, and there is accommodation for up to six guests in three en-suite cabins. 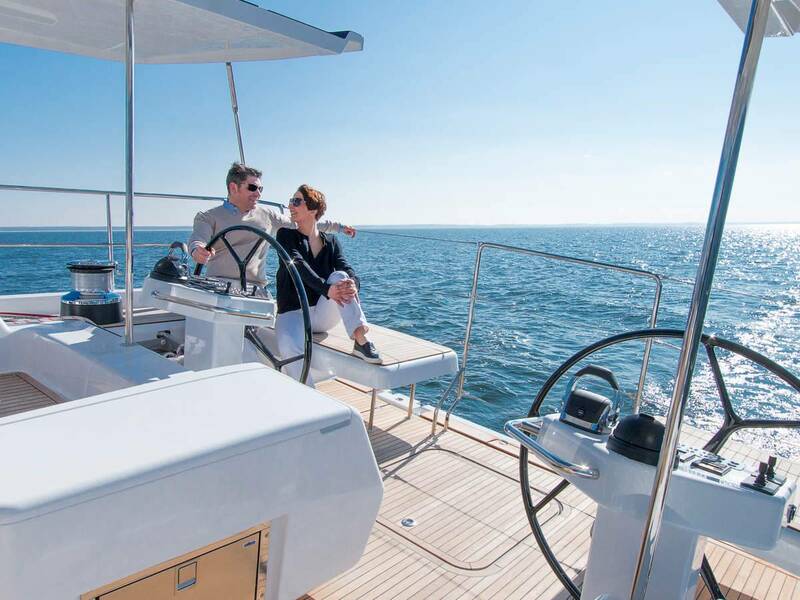 The crew of two will use their expert knowledge for memorable destinations and excellent on board service. 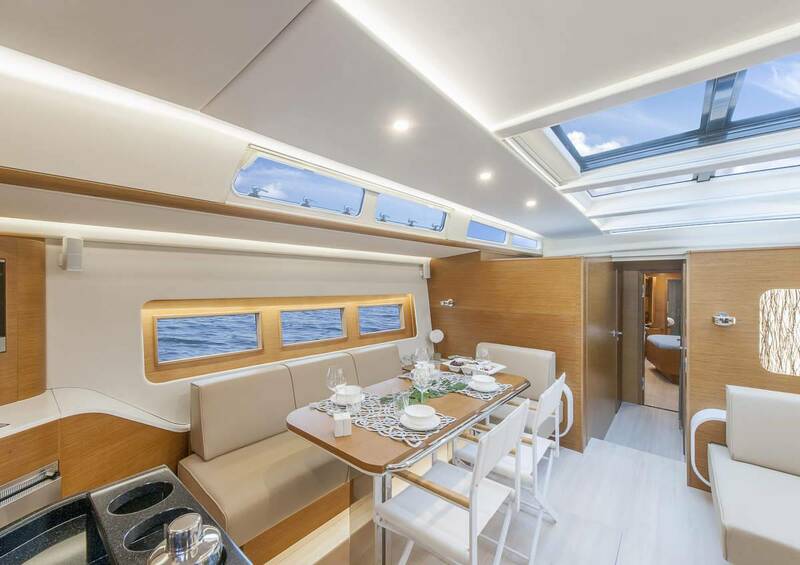 Above deck, the sheltered cockpit is fitted with an L-shaped sofa on both sides and a table for light meals that can be raised or lowered as desired. 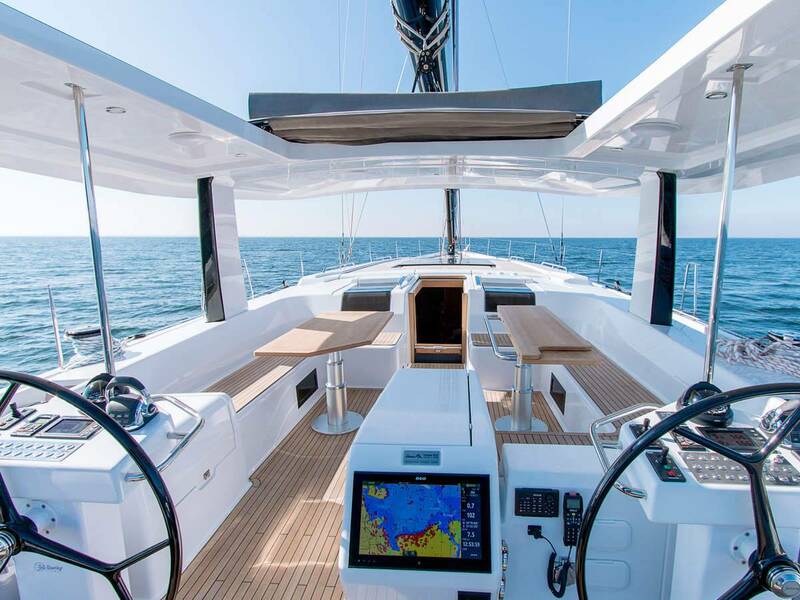 The helm controls are placed close to the stern, while the foredeck is left clear for operations and can be used for sunbathing, observation and exercise while at anchor. 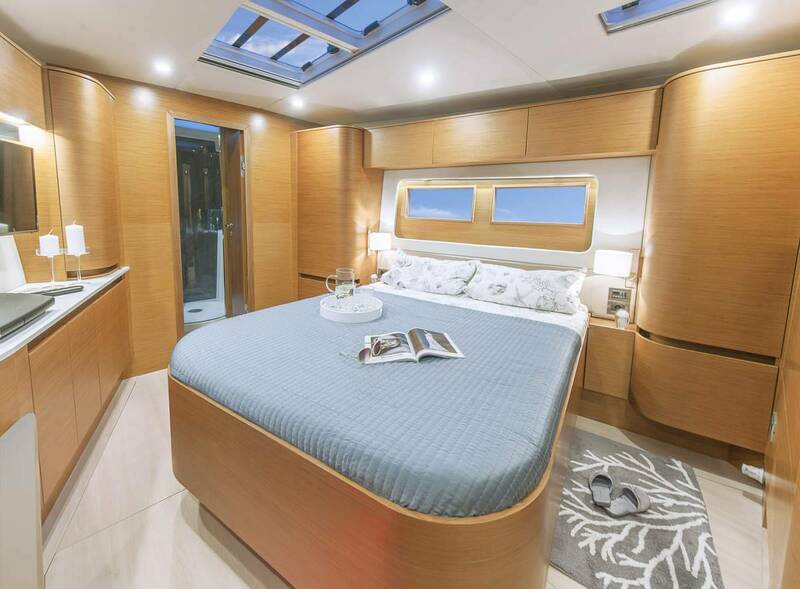 The lower deck layout places the guest accommodation forward with the lounge amidships, the crew cabin and galley behind and the tender garage in the aft. 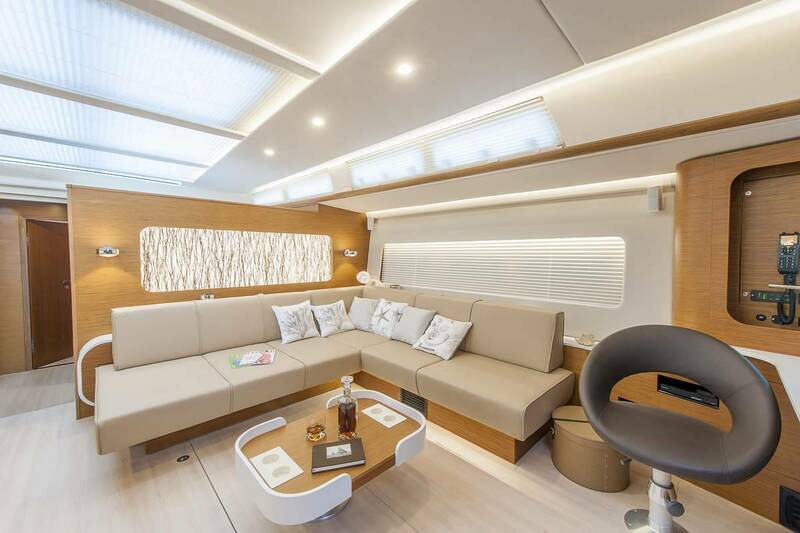 The lounge offers a formal dining area to port with a raised table and additional movable chairs, and to starboard the plush lounge seating provides a spacious corner sofa around a coffee table, which can drop down to allow the sofa to be converted into a double bed. 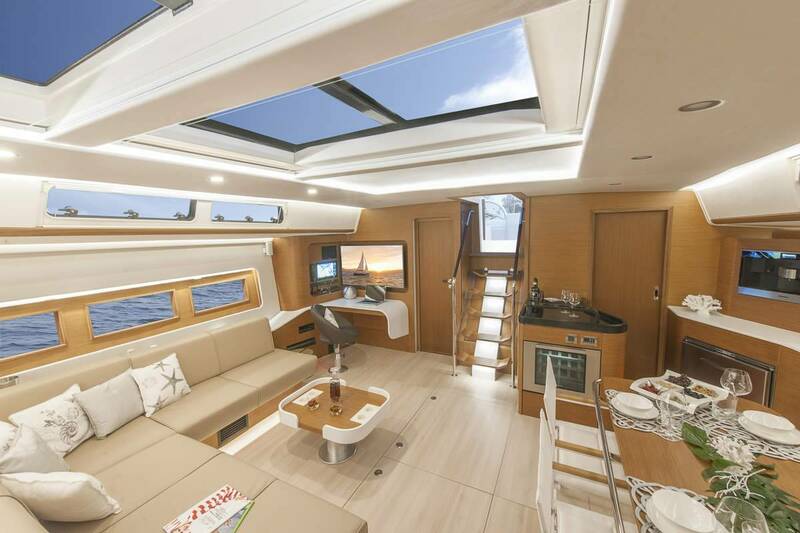 The navigation controls are placed aft of the sofa, and the galley with wine chiller opposite. 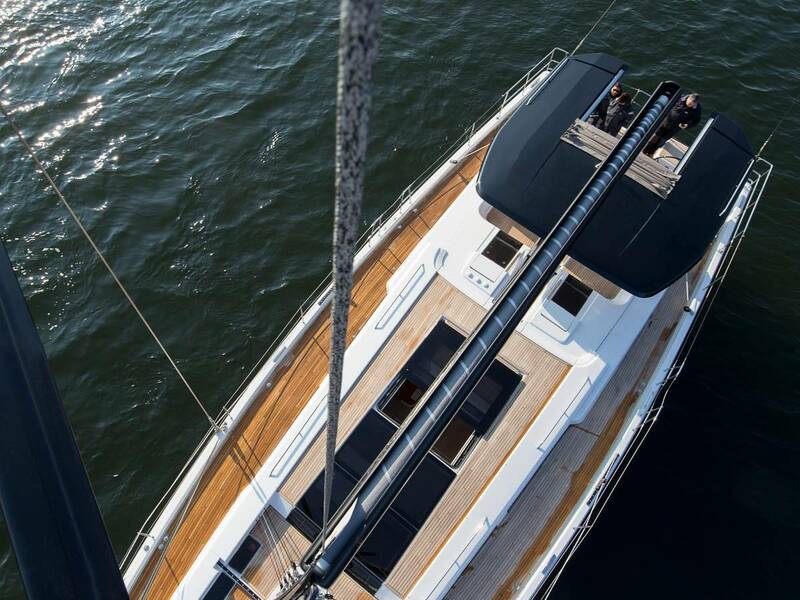 The Volvo D4-225 HP engine allows for a top speed of 11 knots and a cruising speed of 9 knots. 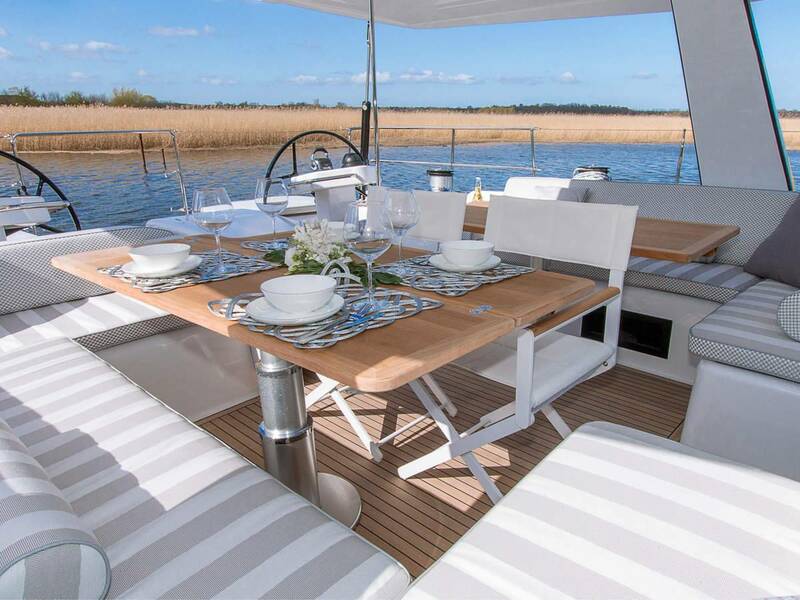 The accommodation sleeps up to 6 guests over 3 en-suite cabins: 1 Master suite, 1 double cabin and 1 single cabin convertible to a double. 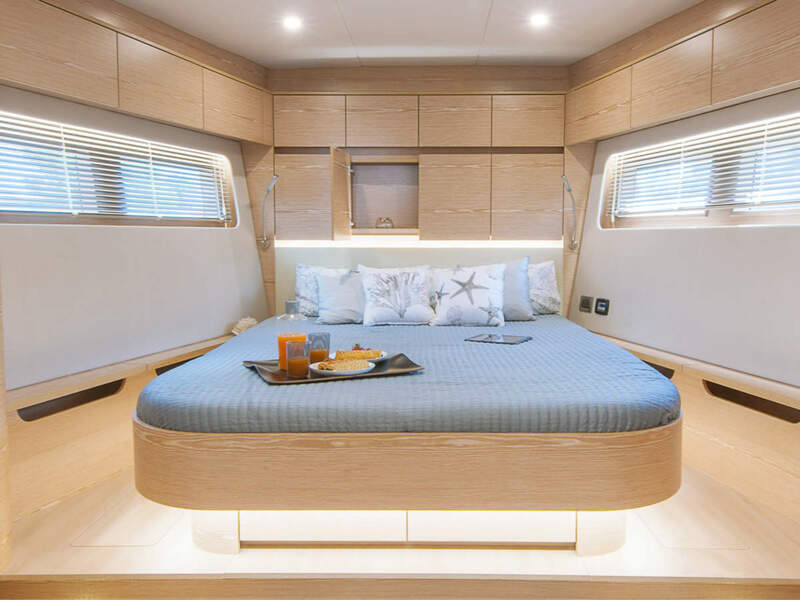 ~ The Master suite is placed forward on the lower deck and is furnished with a king-sized bed with a daybed integrated into the port wall opposite and a widescreen TV forward. 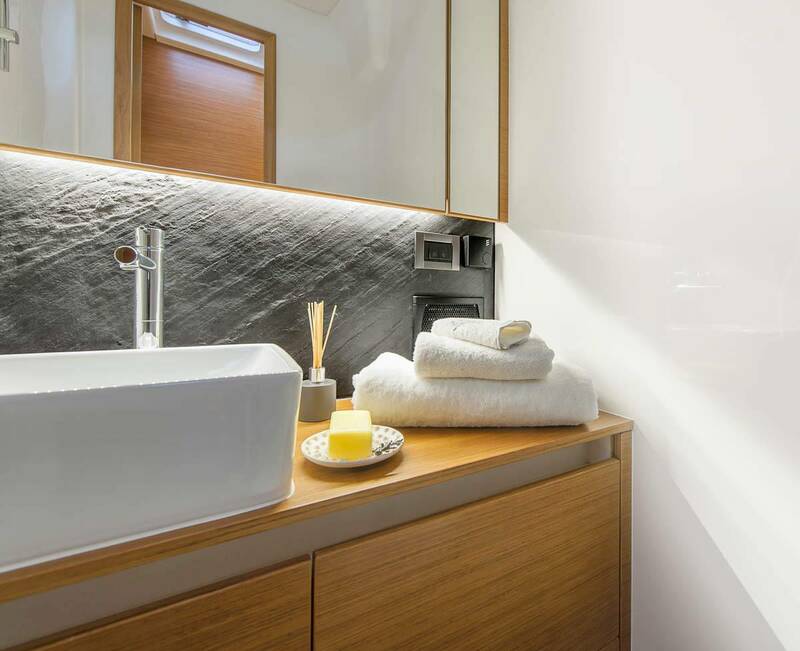 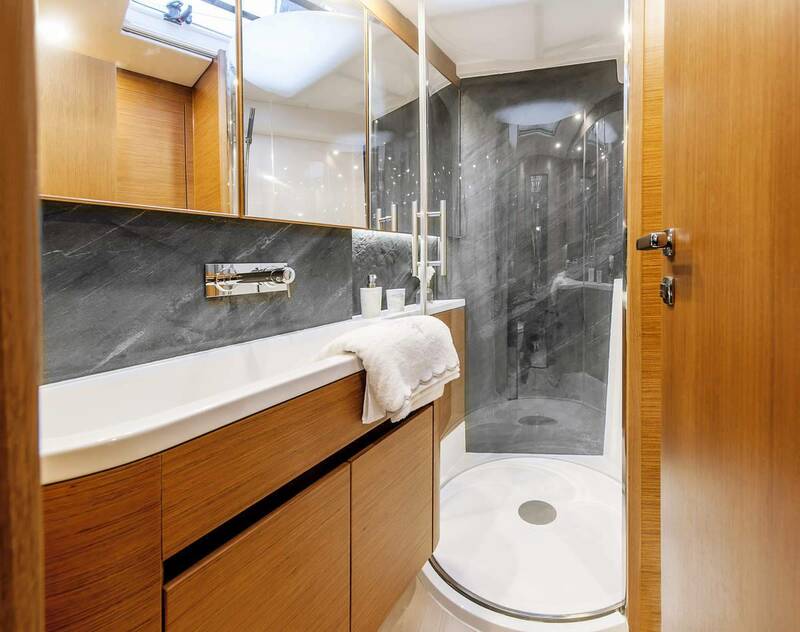 The bathroom in the bow provides a sink, toilet and shower. 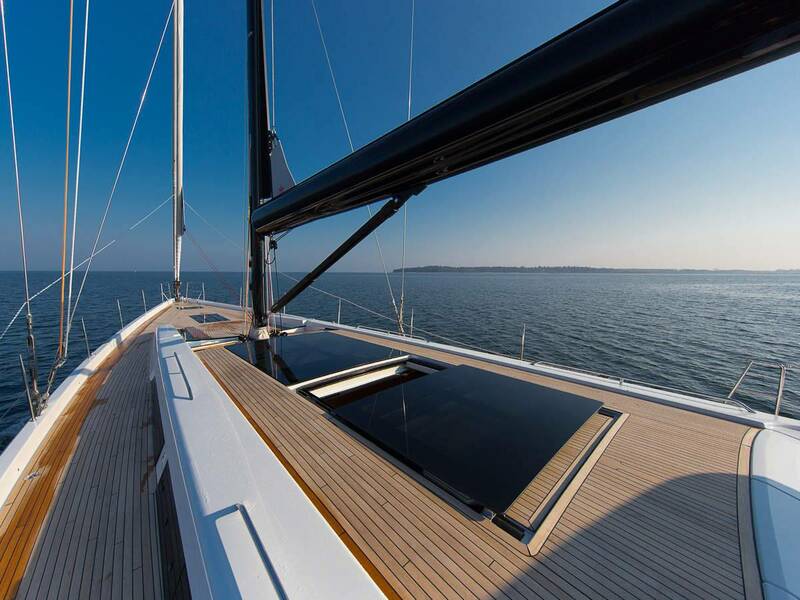 ~ The double cabin is placed behind to starboard with the single cabin to port. 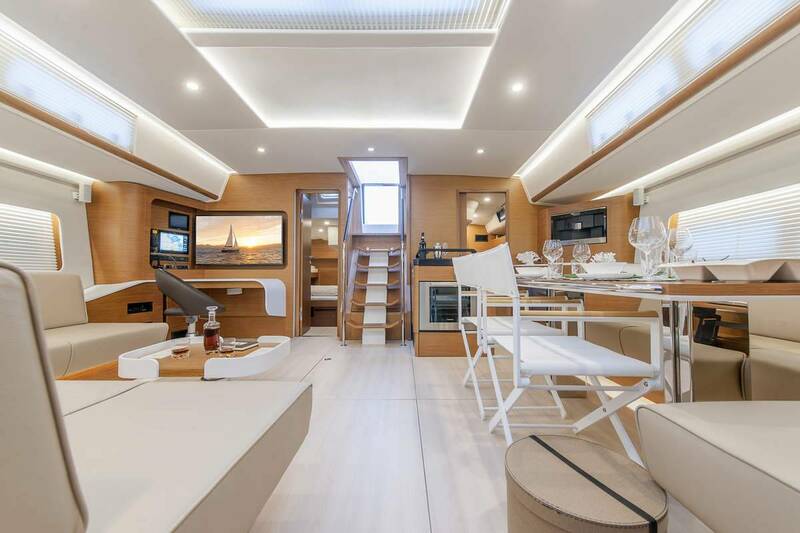 The double cabin has two wardrobes and an en-suite bathroom with a toilet, sink and shower, while the single cabin has a toilet and sink. 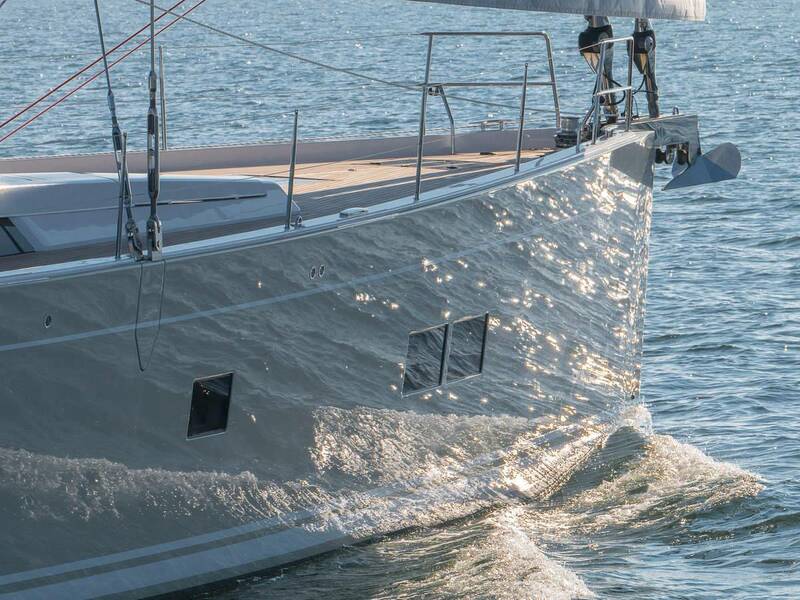 ~ The crew of 2 will ensure fast and discreet service throughout the cruise.